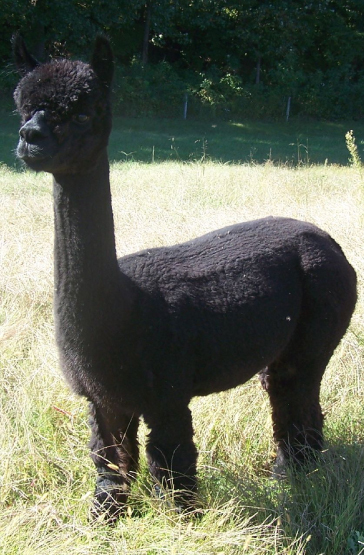 Winnapeg is a striking True Black female, with a Gray sire & True Black dam. 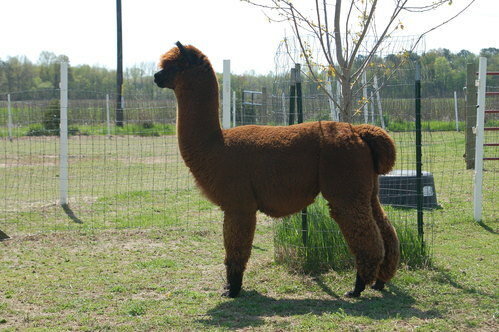 She has a beautiful , feminine appearance with nice fleece characteristics. 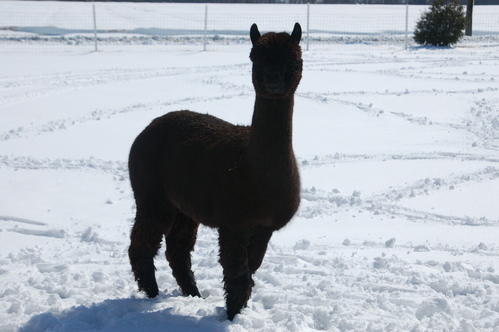 Winnapeg is currently bred to our Champion herdsire, Highland Baron Of Borgue. 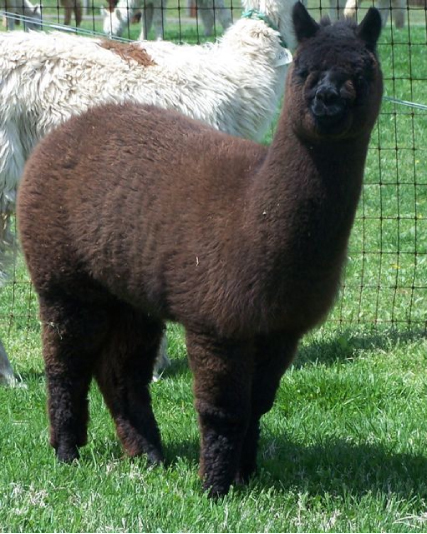 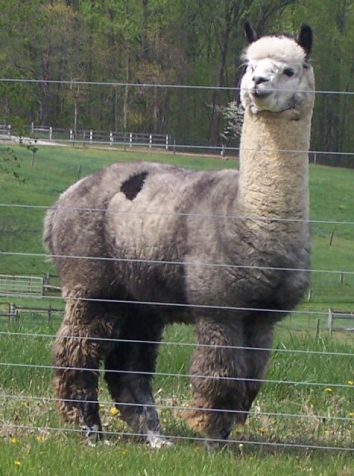 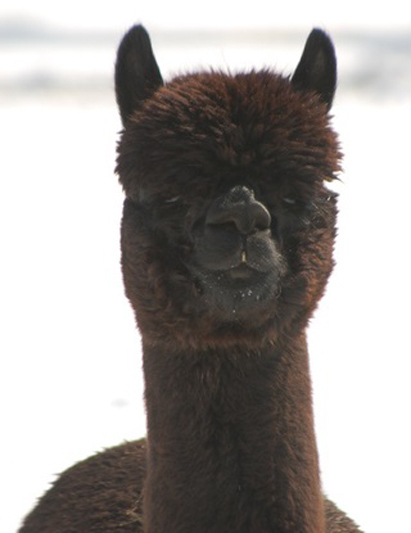 Baron's dam is also silver gray, so we have a good expectation of either a gray or black cria.